In addition to the compensation, job security and career advancement opportunities, Learning and Development opportunities are also very important for the new-age corporate worker. In the competitive job-market today, organizations have to constantly strive to provide training and learning opportunities – not only to enhance their employees’ skills but also to provide opportunities for growth. The more an employee is ‘engaged’ in the workplace, the more he or she will be able to perform. Thus training is not just a way of teaching but also an effective way of engaging learners. The training content need not always be within the strict confines of work – but it should enable employees to exhibit better standard of work. So employee development training is important to help employees perform and extract the best out of their work environment. Though the content of this training does not impart any new information or skills in terms of the employees’ area of work, the training has a lasting impact on most employees. Here are some eLearning strategies to create impactful employee development training – with the aim of making learning interesting as well as effective. How you approach the subject is important as many learners feel that employee development trainings are somewhat ‘preachy’ and often deal with serious subjects – therefore serious reads. For a self-paced online learning courses, it is then all the more important that the employee development training aims to grab the attention of the learners and does not overwhelm them. 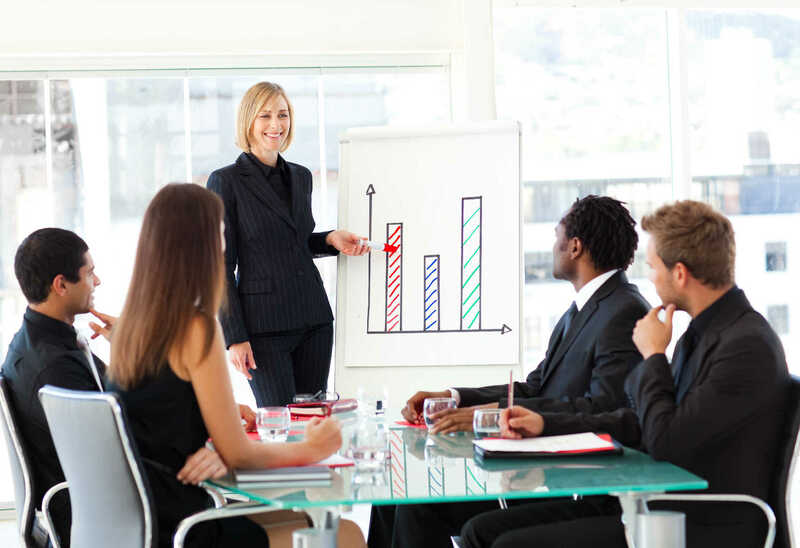 For employee engagement trainings, it is important to grab the attention of the learner at the very beginning of the course in order to sustain interest throughout. A popular way of gaining attention is by giving a bit of information – through an informative graphic or even a short animation – and then asking thought provoking questions on the subject. This makes sure that the learner is ‘hooked’ on to the subject – with some beginners’ knowledge and the questions to make them think more. Another possible roadblock in the way of impactful learning is when the learner fails to connect with the subject. Scenarios can be built to familiarize the learners with the topic and bring it to context – in order for them to understand and relate to it well. Scenarios can utilize real people and their stories for the learners to forge a deeper connection with the subject. For instance, for training on the ways of dealing with Bribery, we created a character based on the dominant audience profile in the learner group – the new recruits. By doing this, we made sure that the topic was made relevant to the learners by showing how it affects them at the workplace. Most e-courses include interactivities as a means of assessing the learners. However, they are also a powerful tool to engage learners and can be utilized well in employee development training as well. A variety of interactivities can be woven in – from simple slide transitions to audiovisual interactions. It is important to keep the interactivities simple so that they do not overwhelm the learners. For instance, in a training developed for a leading multinational energy management company, we created training on Ergonometrics or the importance of the right posture. To make the training more relevant, we included a series of image-based test questions at the end of each section. The learners were not given points for answering the questions correctly, but the activity helped them self-evaluate how much they had learnt and retained. Employee development trainings also need to be sustainable and enable the learners to extract the relevant information for long-term use. Infographics within the course can provide a lot of information to the learners – in a more appealing way. With graphics and very little textual content, the learner can learn as well as retain for longer. Another way of making the e-learning initiative sustainable is to imbed job-aids within the course. These documents can be downloaded for easy and ready reference – as per the need of the learner. Finally, it is not wise to assume the one-size-fits-all strategy. It is necessary that the learners have the freedom to access the course as per their self-perceived capabilities. One way to address this is to create two separate versions of a course. One can be more detailed for novice learners while the other can cater to advanced learners by skimming introductory topics and dwelling more on new topics introduced. An innovative way of personalized learning was created for training, aimed to educate a diverse group of young learners including differently abled learners. One version of the e-course was created with minimal text but enhanced graphics and animations that attracted young audiences. But keeping the needs of the visually challenged learners in mind, we also created another version of the course with audio descriptions and minimal interactivities. At the very beginning of the course, the learner could choose the version that would best suit him or her and proceed to learn effectively. Employee development is truly achieved when the learners feel completely engaged and connected to the workplace – an ideal condition of excellence in work standards. It is a continuous process and, with technology-aided learning, it is now possible to provide the learner constant access to training, anytime they want and anywhere they need. We are thus closer to reaping the benefits of employee development – through some strategic thinking and by incorporating some innovative ideas.